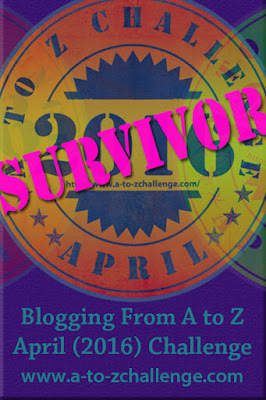 I am so excited to tell you about something I have done. I wanted to challenge myself this year and GROW! (See my post dated January 1,2015). 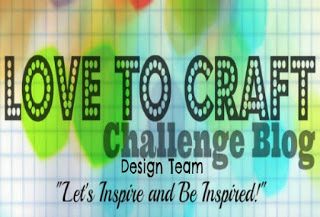 One thing I have wanted to do is be on a design team and complete challenges. I was accepted to my first design team at Mema's Crafts. Well, today is the day that my first designs were published! 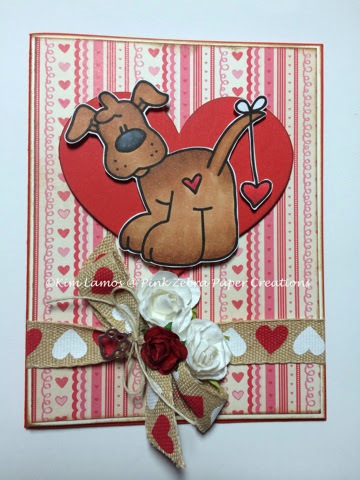 Here is the first one using a digital image from Bugaboo Image called Puppy Love Heart String. I used my Copic markers to color the puppy. Then I used Fun Stampers Cardstock, Pine Cone Press pattern paper and Michael's Ribbon. I love this image, because one of my loves in my life is my brother's dog Nala. 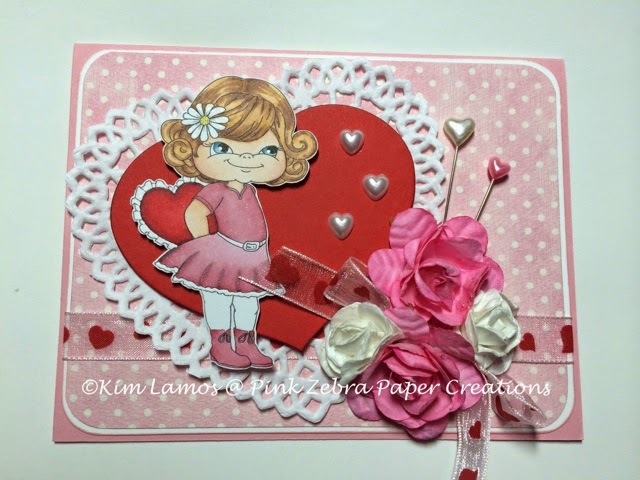 Next, I created a card with a digital image from Stitchy Bear Image called BB Kakes Heart Girl 1. Here, I used my Copic markers to color her. 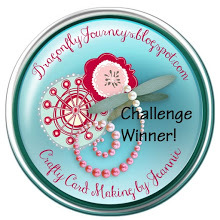 I also used Fun Stampers Journey Cardstock and Authentique pattern paper. I liked this image because it reminds of when I was a little girl and there was always that one boy in class that you were afraid to give a Valentine to. I thought her face expressed that feeling of nervousness. These are so cute. So happy for you. That's one of my goals also. Both cards are simply adorable and I really like the puppy! You did a fabulous job and we at Mema's Crafts are thrilled to have you as part of our family. Thank you. They were fun to make!